Which profession is losing the PR war? Jobs wax and wane in popularity and, while quite a lot of this is down to salaries or how interesting they are, their public image also has a big input. For example, mention you’re an accountant to someone and a mental picture of a grey man/woman in a grey suit pops immediately into many people’s minds. So, taking this to its logical conclusion, which profession has the worst public image in the UK – essentially who is most loathed by the country as a whole? I’m taking out politicians as that’s too easy a target, but looking at what’s left, they seem to fall into two groups. There are those professions that are belittled for not doing their job properly, where the Daily Mail (and politicians) use the failings of a few to tar a whole group with the same brush. I’m thinking of social workers, doctors, nurses and teachers, where, often for political reasons, they are paraded as uncaring or uncommitted when nothing could be further from the truth. The second group, which more people can agree on, is those that are accused of fleecing the Great British Public. So bankers, overpaid businessmen/women, footballers, bureaucrats (especially of the ‘meddling Brussels’ variety) and highly paid lawyers fit into this category. What’s interesting is that none of these people make physical things – vilified businesspeople tend to be fat cats presiding over service industries/shutting down manufacturing plants while increasing their pensions rather than the likes of James Dyson. After the financial meltdown, I’d say that bankers topped the polls of the most loathed. Not only had they brought the world to the edge of financial ruin but weren’t contrite in any way. They still seemed to be rolling in enormous bonuses, while the rest of us were scraping by without pay rises in Austerity Britain. But the last couple of weeks has seen a new target overtake even bankers – management at utilities companies. The combination of enormous, above inflation, rises in gas and electricity bills coupled with dire warnings about potential future power cuts have made them public enemy number one. Never a group to look a gift horse in the mouth, politicians have levelled their guns on the sector. From Ed Milliband threatening a price freeze to (of all people) John Major calling for a windfall tax on utility profits, it is open season on the industry. 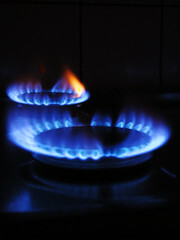 With a growing percentage of household incomes spent on utility costs, it isn’t surprising they are a target – even though the companies claim that a large chunk of bills goes either to the government in terms of green levies or is swallowed up by global price rises in the cost of oil, gas and coal. But utilities aren’t helping themselves. British Gas decided to run a Twitter Q&A session on the day of its recent price rises – unsurprisingly it got more abuse than intelligent feedback. And Scottish Power has been fined £8.5m for misleading customers between 2009 and 2011. No wonder the whole industry has been summoned to appear before MPs shortly to explain themselves. So, putting my PR hat back on, what can utility companies to improve their public image? They can’t reverse the price rises, but need to show that they genuinely care. That means no pay rises for senior management, closer work with charities that help those who can’t pay their bills and a commitment to providing better service to the rest of us. And this needs to be a long term move – not a quick PR stunt that ends after a couple of months. Only then will they be able to step away from the public eye and let others (probably bankers) take over the mantle of most loathed profession – at least until the 2015 election….